I made reference in a previous post to meeting in al-Ahsa the sons of Sh. Muhammad Awwamah. I had met them first at the home of one of the historians from the al-Mulla family (may Allah give us the tawfiq to record what occurred there). Some of us had moved on to the home of Sh. Yahya al-Mulla to read some fiqh with him, during the course of the lesson the Sheikh received a call to say that the visitors from Madinah were on their way. They entered, greeted the Sheikh and asked him if they could record some of the answers to their questions, what followed was Sh. Yahya mentioning in response to his visitors request the history of the Hanafi school in al-Ahsa, going on to reluctantly grant (due to his not feeling worthy) his guests request for an Ijaza to narrate from him. Then as a final question the visitors asked the Sh. Yahya to relate to them the story that they heard about the broken glass. Sh. Yahya expressed surprise at their knowledge of this and mentioned that he actually met the person who witnessed the event. Sh. Yahya’s father Sh. Muhammad al-Mulla was known for his piety and people would often come to him so that he may recite and blow on water for them to drink. However due to his teaching commitments and lack of time, Sh. Muhammad al-Mulla would recite ‘Bismillah’ or the Fatiha (I cant recall exactly which of the two it was, but I think it was the former) and blow into a cup of water. A lady came to the Sh. Muhammad and asked him to recite and blow, which due to his busy schedule he quickly did, however the lady was not satisfied and requested the Sheikh to recite and blow properly. Sh. 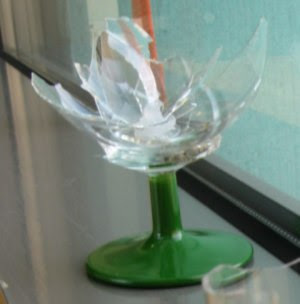 Muhammad paused, agreed to her request, recited (Bismillah or Fatiha) and then blew into the cup which to everyone’s amazement shattered to pieces.Sh. Yahya having recounted the story, found that one of his visitors had duly stood up and had asked him to recite and blow into his cup of tea that had been poured for him. Sh. Yahya’s expression was: ‘Come on..! you must be joking’ mainly because the visitors were looking for a repeat of this extraordinary feat from the son.